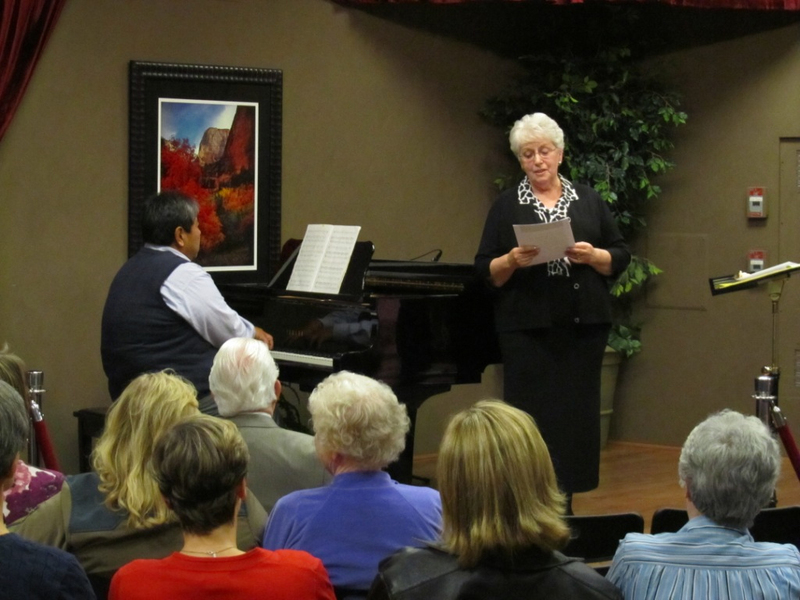 ACWC Board Member John Sato at the piano, and JoAnn Ottley, vocal coach of the Mormon Tabernacle Choir, leading a community discussion on the Arts & Healing (March, 2011). Public meetings were held in locations in Washington County to discuss issues surrounding the potential CARE initiative. Scholarships were awarded to attend the Mountain West Arts Conference in May (Utah Division of Arts & Museums Annual Conference). The recipients include visual artist and educator Aimee Bonham, arts promoter Bobbi Wan-kier and songwriter Dave Tate. Two public meetings were held in St. George to discuss issues surrounding the potential CARE initiative. Scholarships were awarded to attend the Mountain West Conference on the Arts in May (Utah Division of Arts & Museums Annual Conference). The recipients include Joe Pitti, Vice President of Communications for Z-Arts; Joseph Neil, Owner of Desert Images Rock Art; Cheryl Scott, Executive Director of the Southwest Symphony; Alisha Celeste, Visual Artist and member of the St. George Arts Commission; and Summer Belnap Robertson, Artistic Director of the St. George Dance Company. Anna C. Boulton, Program Manager of Community Development for the Utah Arts Council. UTILIZING TODAY’S SOCIAL NETWORK MEDIA - How These Darn Things Work, and What Should One Say!